WUMB-FM is a non-commercial radio station licensed to the University of Massachusetts with studios at the UMass Boston Campus as the central hub for a network of five public radio stations in Boston, Worcester, Falmouth, Orleans and Newburyport Massachusetts. The Boston, Worcester and Falmouth stations all broadcast on 91.9FM. The Newburyport station can be heard on 91.7FM, and the Orleans station can be heard on 1170AM. All five facilities simulcast the identical program schedule, which is produced from our studios located at the UMass Boston Campus. The station's 24 hour a day broacast schedule reaches tens of thousands of listeners in over 275 cities and towns in eastern and central Massachusetts and Cape Cod along with parts of Rhode Island, New Hampshire and Connecticut. A webcast of our signal can also be heard, live, around the world through the internet. 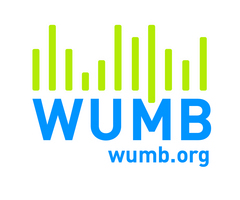 WUMB Radio is dedicated to produce, acquire, and disseminate high quality, diverse and valued public service radio programming to significant audiences. The radio station is committed to serving as a local and national resource for the cultivation, promotion and preservation of various genres of folk music through its radio programming and selected enterprises. The Boston station, WUMB-FM, was the last station in the Metro- Boston area to be granted an FM license from the Federal Communications Commission. It went on the air in 1982 with an all- volunteer announcing staff, moving to a professional staff in 1986 when it became a public radio affiliate of the Corporation for Public Broadcasting (CPB). The station was the aspiration of a cadre of UMass Boston students in 1968, including its current General Manager Patricia Monteith, in what became a fourteen-year campaign to get the station on the air. The Worcester station, WBPR-FM, was purchased in 1993 from Worcester County Christian Broadcasting, which owned a permit to construct the station, but had never actually built it. The Falmouth station, WFPB-FM, was developed with the help of an expansion funding grant from CPB and went on the air in 1996. The Orleans station was a donation from GramCam Communications in 1998. And the Newburyport station was built with the help of a grant from the U.S. Department of Commerce in 2001. There are over thirty people regularly working at WUMB-FM including full-time, part-time and manangement staff, student employees, interns and volunteers. Some UMass Boston students participate as part of the "Radio Learning Project", a year-long experiential learning program. Local area high school and college students receive credit from their affiliated internship programs. Community volunteers come from all walks of life and assist the station with programming, fundraising efforts and special events. WUMB-FM is committed to providing unique program offerings. It is the country's foremost radio station for folk and acoustic music, airing a mix of folk music twenty-four hours weekdays including singer-songwriter, blues, Celtic, bluegrass and more. Weekends, the station is a leading cultural center for traditional folk and Celtic music, as well as blues, afropop and world music. More than 450 musicians come in to WUMB-FM each year to play live for the station's listeners and provide insight about their music. Public affairs, public service and news programs are blended throughout the entire schedule for a comprehensive educational experience.